DESCRIPTION: They have a wingspan of about 3 ft. and weigh 2-3.5 lbs. 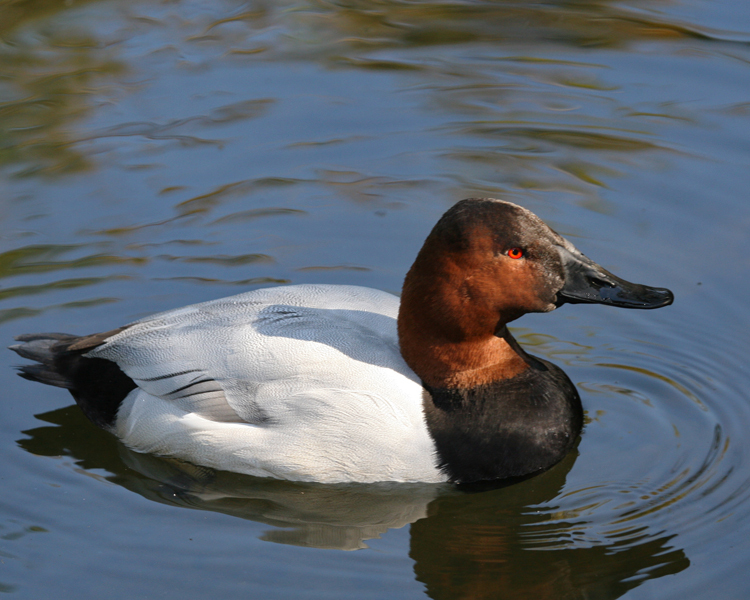 HABITAT: Canvasbacks live in lakes, marshes, and other wetlands. DIET: Their diet consists of plant material such as tubers, leaves, and seeds, and aquatic insects and fish. NOTES: Canvasback mating call is “krr-krr-krrr.” They are protected on the US Migratory Bird list.